I started one of these threads on the football side of things, but I thought having one for basketball might be interesting too. I'm sure there are a lot of unique arenas out there, feel free to share yours! Discussions are encouraged. Southwest Minnesota State's R/A Facility in Marshall, MN. Not much to say about this place other than that it's home, and I'm sure it gets rocking when the stands are full. Much like football, we actually have two gyms. This is the other one, used until the above opened in 1996. It is one of the original buildings on campus. I'm sharing this for the historical aspect, however basketball games can and have taken place here since the opening of the newer arena. To my knowledge, the last game played here was a loss against Michigan Tech in 2012. I'll share a few more from the conference, however I've only attended home games so I don't have the best insight here. I'll try to provide a few bits of info. Hopefully, I get to expand my reach this season! Sioux Falls Arena - Home to the Augustana Vikings in Sioux Falls, South Dakota. 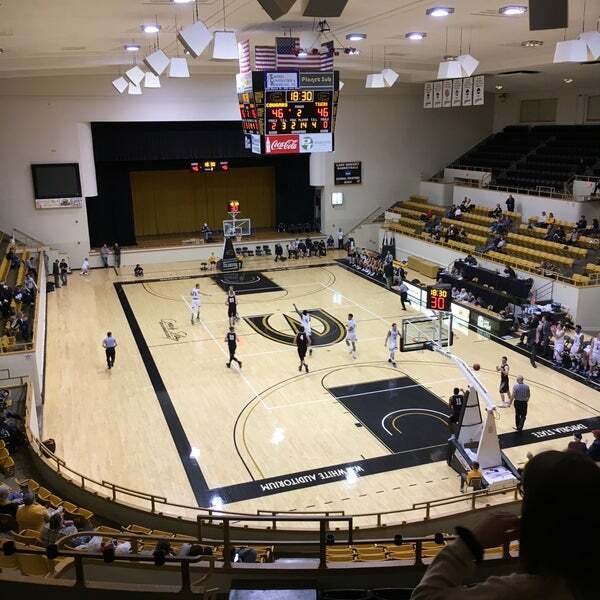 I found this interesting, the Vikings used this arena as their home court until the Elmen Center (below) was completed in 1989. They began holding games here regularly again in 2014, and it's now their primary arena. The arena previously hosted the Sioux Falls Skyforce (G-League), Sioux Falls Stampede (USHL) and the Sioux Falls Storm (IFL) until newer facilities were built. Augustana's on-campus home is the Elmen Center - which they still do use for basketball a few times a season. While it's not a primary venue for either Augustana, or the University of Sioux Falls, the Sanford Pentagon does host games occasionally and was also the site of the NCAA Div. II National Championship game last year. Don Meyer Court at Wachs Arena - Northern State University, Aberdeen, South Dakota. The big dog in the conference, and the country, for fan attendance, for both Men's and Women's. The men average about 3,800 a game and the women average about 3,100 a game. They've been playing here since 1987. President Bush visited in 2002. Halenbeck Hall - St. Cloud State University, St. Cloud, Minnesota. I included this one because the pictures always gave me a Cameron feel (or at least, the feel that photos of Cameron do). It opened in 1965. I will also include a photo of the former home of the Huskies, Eastman Hall, which still exists to this day. I love how grand it looks, with the Cathedral-ish windows just beyond where the basket would be. 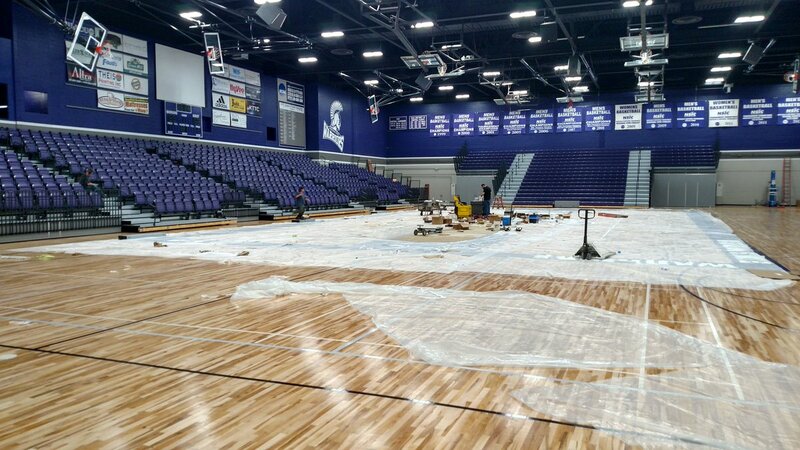 McCown Gymnasium, Winona State University, Winona, Minnesota. While this gym is historic, I wasn't able to find much information about it (ironic, I'm aware). If there is any out there, I'd love to hear it. 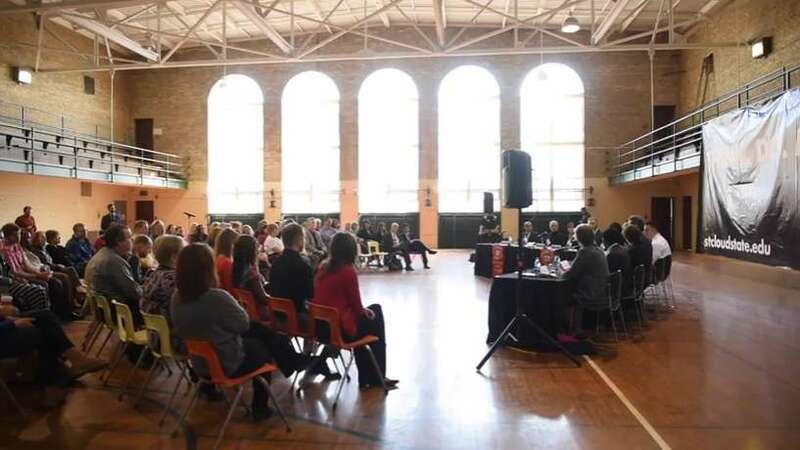 I know the gym just got a face-lift not too long ago which gives it a more modern look. Neat building. 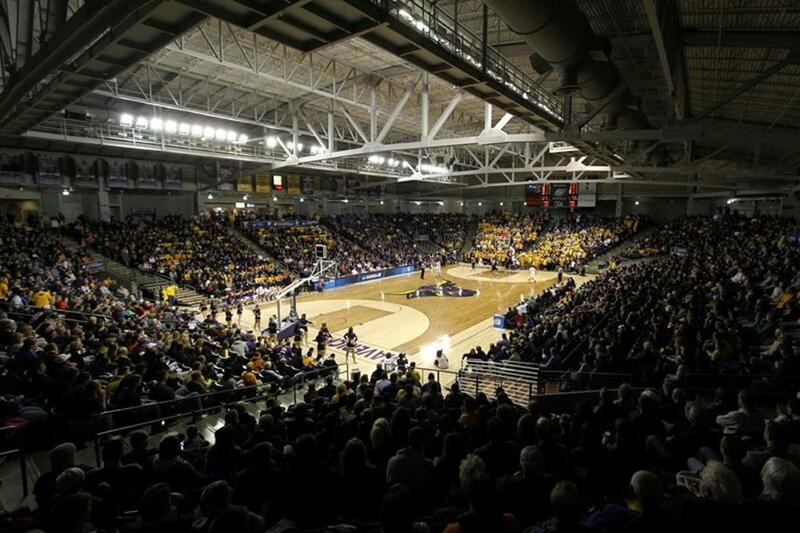 Bresnan Arena at the Taylor Center - Minnesota State University-Mankato, Mankato, Minnesota. This is by far the nicest facility in Minnesota. It's used occasionally by the Timberwolves for training camp, although it hasn't been used in a few years. Ganglehoff Center - Concordia St. Paul, St. Paul, Minnesota. I like the simple design of this arena with the arch above the court. The arena hosted the 2001 NCAA Slam Dunk and 3-pt contest that was televised on ESPN. 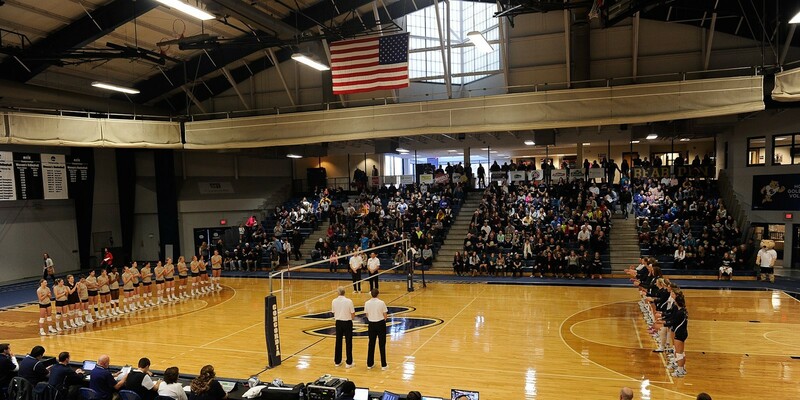 It's also the home to the legendary CSP Bears Volleyball team. I snagged them off Google... kinda fun sifting through them all. Feel free to add as well! Missouri Western recently got a facelift, including new bleachers. Last edited by GrifFan; 10-19-2018 at 09:20 AM. As much as I hate to give MW a compliment for anything, the updates with the bleachers looks MUCH better! It is quite a change. Didn’t mean to post the same picture twice. Here’s another angle showing the side opposite the chairbacks. 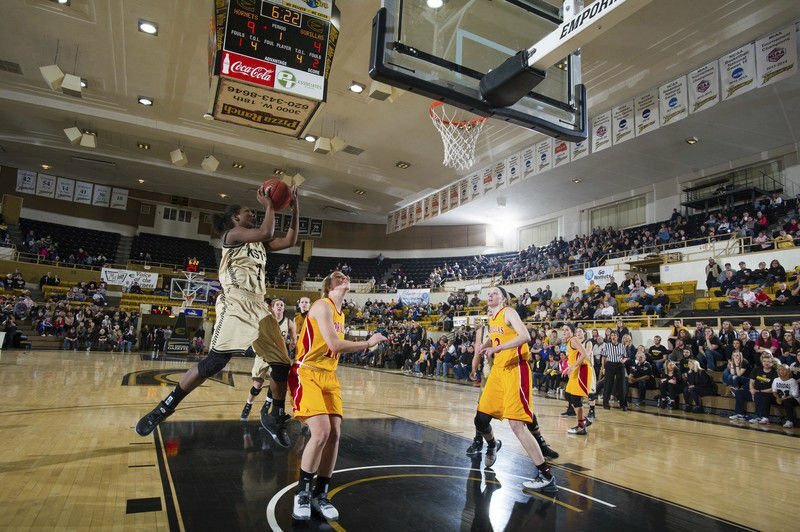 Always enjoyed Emporia State's White Auditorium. Pictures don't really do it justice. That's different. Is it currently just primarily used for basketball or does it double as a performing arts center? Based on the height of the bleachers, I bet there's not one bad seat in that place. 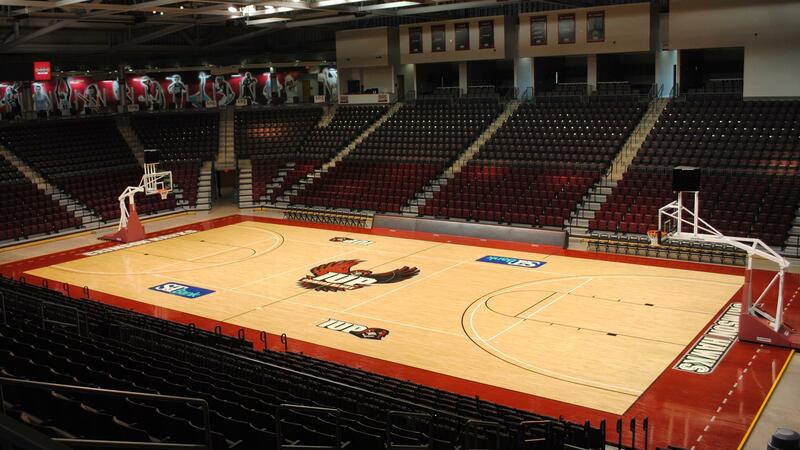 IUP has a very nice arena (KCAC). I just can never figure out how to post photos on here. 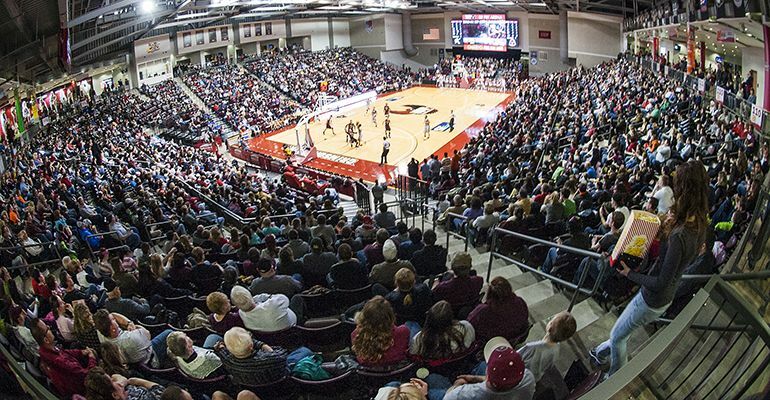 IUP has a very nice arena (KCAC). I just can never figure out how to post photos on here. I can upload a few for you if you'd like. Google KCAC IUP Basketball. Several will come up. This place? Wow! I bet it gets loud in there. Really cool! Right Click Image>Select "Copy Image Location">Click "Insert Image"*>Paste the link>Click "OK"
*It's the square box in the "Quick Reply" bar that has the little image of the tree. I did see basketball games there in March for the wheelchair tournament. I used to drive to Marshall on Wednesday nights to see NIC games in the old gym since MSU would play Friday/Saturday. Thanks. It can get loud when filled up but unfortunately that doesn't happen too often. It has a lot of amenities including a bar. Seating is about 4,000 and it has a Hilton about 30' from the front door. Yeah... same here unfortunately, although we do get a decent crowd. We have to compete with area high school basketball. Anyway, that's a pretty impressive building. I'll have to check out more PSAC buildings.